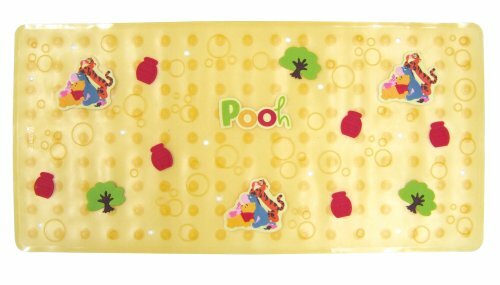 This Ginsey home solutions Disney Pooh vinyl bath mat comes with skid resistant cups for safety and comfort. This comes with cars characters, playing in fun dimensional designs and vivid colors which make bath time extra special. Its skid resistant suction cups attach easily to your bathtub. This is designed for safety and comfort. 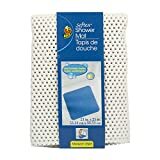 It is machine washable and dries easily.